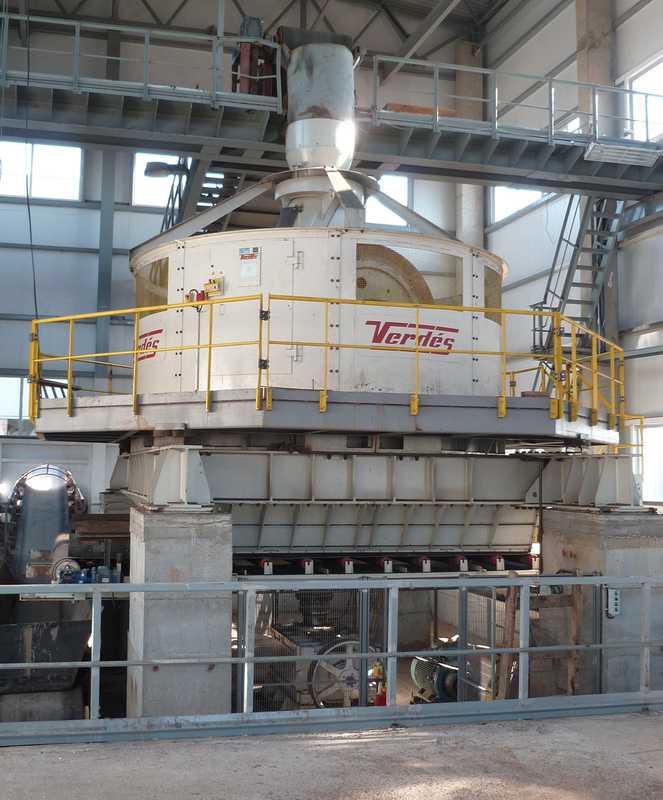 Verdés is a renowned manufacturer of machinery for the clay preparation in the brick and tile industry in every country and market. The experience acquired over the years gives us a global vision and the ability to adapt our solutions to each situation, through the knowledge acquired after solving very different needs depending on each country. Therefore in many cases Verdés offers a range of different solutions for the same application, depending on market demand. It is the know-how of each region that often dictates the solution to trust, even in some cases ignoring the other possibilities. In the case of European markets there is a predilection for solutions for grinding processes such as the use of Wet Pan Mills, and Circular Screen Feeders for homogenization. However, the option of other equipment that, depending on the situation, can reach a higher efficiency, or very similar but at a much lower cost, is often not valued. The purpose of this article is to review the characteristics that define each of these machines, and the specific functions they perform. In this way the ceramic producer will be able to count with all the necessary elements for the decision of the grinding process in the most appropriate way. There are several methods of grinding materials that depend on different climatic factors as well as on the characteristics of the raw material itself. In the ceramic sector Verdés has an extensive experience in all types of preparation, either by dry method or by wet and semi-wet method. The Disintegrator is a machine designed for secondary crushing of dry and semi-moist materials (up to 18% moisture), capable of grinding with a maximum particle size of the outfeed material of 25 mm. It comprises two cylinders that rotate in opposite directions, one of them being smooth and with a larger diameter that rotates at slow speed, and the other one provided with blades and a smaller diameter that rotates with higher speed. 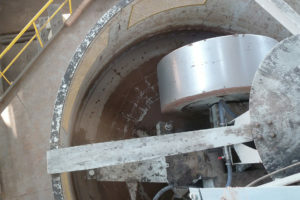 The crushing of the incoming clay is done by compression due to the reduced space between cylinders and shear due to the action of the blades, the latter being predominant. Verdés manufactures a whole range of Disintegrators. Its Series 120 covers from smaller productions of 9 m³/h until 100 m³/h (although it has come to manufacture some custom-made models to with capacities up to 160 m³/h). Typically, the cylinders are configured with a maximum separation of 3 mm between the smooth cylinder and the blades. In this way, a maximum outlet size of 25 mm is obtained, and the granulometry is mainly comprised between 3 and 15 mm (the predominance of large or small particles depends on the separation between cylinders and the hardness of the material). The Wet Pan Mill is the most used machine in the secondary crushing of clay by wet method, although it is also suitable for crushing material in semi-wet conditions. The machine consists of a cylindrical compartment in which two large wheels rotate around a vertical axis and apply a predominantly compression strength, but also to a lesser extent, a shearing force to the material that falls on the steel track. The arrangement of wheels is asymmetrical, allowing one wheel to turn close to the center axis and the other to rotate in the periphery. When describing an asymmetric movement and at different speeds, the wheels slide over the material, which provokes a frictional force on it. 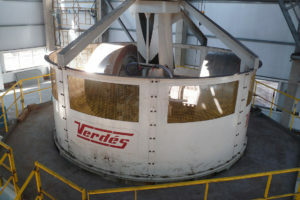 The 180 series of Verdés Wet Pan Mills incorporate machines with tank diameters from 2700 mm to 5300 mm. The productivities reached are between 14 and 100 m³/h. The outlet particle size is below 25 mm. The output granulometry will depend on the size of the grid and the humidity of the clay, but it will have a high percentage of small particles, specially if the grids and wheels are in good conditions. Since this phase of preparation of the clay requires a high investment for the producer, it is convenient to study in depth the adequacy of these equipments to each situation. Therefore, in which situation can a Wet Pan Mill or a Disintegrator be used indistinctly? 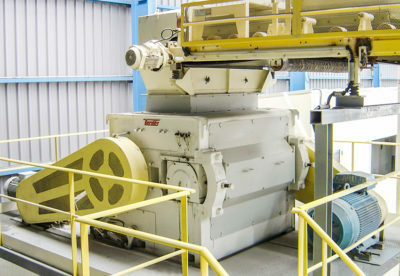 The Wet Pan Mill, thanks to its large dimensions and weight, is a very versatile machine and is able to crush virtually all types of ceramic material. It is specially effective for those clays of great hardness or containing stones. However, it also involves a much higher cost due to the dimensions of the installation and the power required. On the other hand the Disintegrator is a smaller and simpler machine, but it requires a more continuous maintenance and has some limitations with certain types of clays. The best choice for the ceramist depends on the raw material, the investment and the results that are desired. – Clays with high moisture content (> 18%): In regions with high rainfall abundance, clays usually contain a high percentage of moisture. The Wet Pan Mill benefits from the high humidity of the clay that gives it a lower resistance to compaction, facilitating the work of crushing. In many occasions an additional amount of water is added to the machine itself to further reduce the resistance of the raw material and thus reduce the wear of its elements and the energy consumption. The Disintegrator is also benefited by the reduced resistance of the humid raw material. However it becomes less efficient as the clay tends to stick to the surface of its cylinders. The more humid and plastic it is, the harder it is to scrape the stuck clay, which results in a loss of efficiency. The use of a Disintegrator is not recommended in this case. – Clays with low moisture content: In a humidity range below 18%, the Disintegrator presents a highly efficient work without problems of clay sticking. 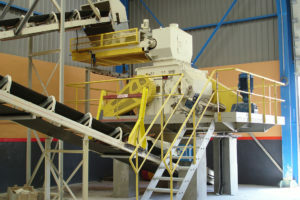 In the case of clays with low plasticity, this machine is able to work with higher percentages of humidity since the clay tends to stick in lesser degree. Due to its small size compared to Wet Pan Mills, it requires a lower investment and a considerably smaller space (as it is shown in the following pictures of two Disintegrator and Wet Pan Mill facilities). Although it requires more constant maintenance than the Wet Pan Mill, in the long term the cost of investment and operation is substantially lower with this equipment. Therefore, it is more suitable for the milling of raw materials that contain little moisture. – Clays with high abrasive properties, or with high content in stones: As for the crushing of very abrasive clays or with high content in stones, both machines are suitable for the process. But their behavior is different. 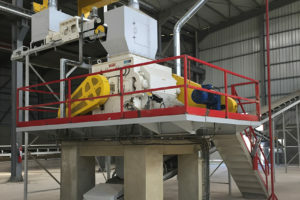 The Wet Pan Mill tends to crush the materials on an equal way, whereas the Disintegrator tends to separate by hardness: when the clay is hard, the particle size of the material after the Disintegrator will contain a greater percentage of coarse particles (assuming a comparison of the crushing result of the same raw material with both machines configured in order to obtain similar outlet sizes). If the clay contains stones, those will be crushed with less efficiency by the Disintegrator, obtaining a higher percentage of coarse particles corresponding to these stones. However, the Disintegrator can incorporate a Stone Separator, which will eliminate those too large from the circuit and improve the grinding efficiency. At this stage the ceramist can decide which machine to use depending on the required grinding quality and the investment to make, being the work of the Wet Pan Mill of greater quality, but also the investment much more important.